In the 18th and 19th century smugglers used tunnels that ran all over Salem to get things in and out of town. If you wanted to get around paying taxes or tariffs on cotton, sugar, molasses, or other items the tunnels could save you a lot of money if you knew how to get around town without being seen. When slavery was outlawed in Massachusetts in 1783 ships could still bring in enslaved men and women from Africa or Haiti into town through the tunnels. Native Americans that were sold into slavery also were smuggled through the tunnels onto ships headed out to sea. During the Civil War the tunnels in Salem were used once again, but this time they were to help get slaves out of the South and into northern states like Massachusetts where they would be free. One of the most prominent tunnels is located in the basement of the Daniel Low Building on Essex Street. The building was built in 1826 and used as a multipurpose building with retail space on the first floor and the First Church of Salem on the upper floors. In the late 19th century Daniel Low and Company moved into the building where they started the first ever catalog to go along with their department store. The most popular item was a collectible ‘Witch Spoon’ that was thought to be one of the very first items that attempted to capitalize off of the Salem Witch Trials. Before Daniel Low people and businesses from Salem tended to shy away from their sorted history. Low embraced it and made a fortune off of the collectible spoon that he eventually patented to keep other local businesses from counterfeiting. Low died in 1911 but his family ran the business and would go on to buy the building in the 1920s. 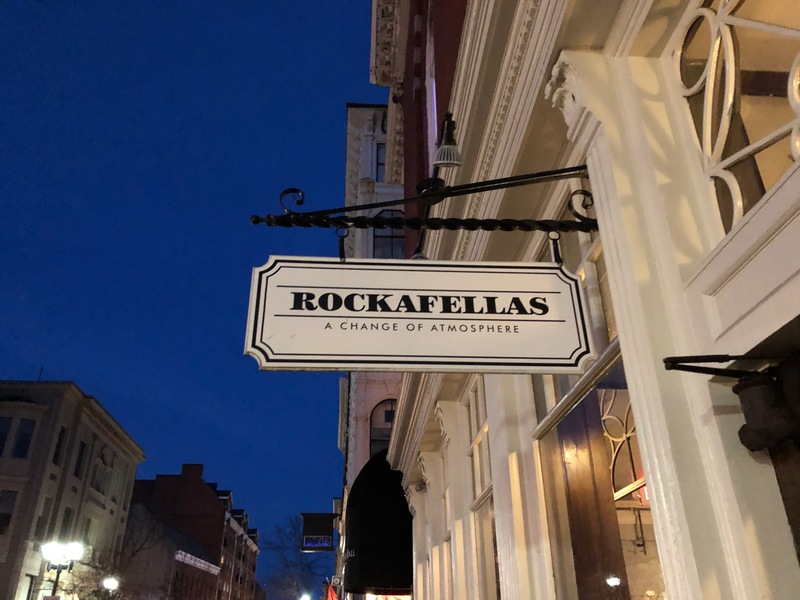 The building would change hands a few times over the years and is now home to Rockafellas, a popular restaurant in Salem. The basement is said to be haunted by the ‘Lady in Blue’ who is said to roam the tunnels underneath the building. Former employees tell stories of seeing the woman from time to time when they went into the basement. In addition to the apparition a woman’s voice has been heard at night in the basement when no one else was around. Check out the Salem Ghost Map in iTunes to learn about the Daniel Low Building as well over 30 other haunted places in Salem.